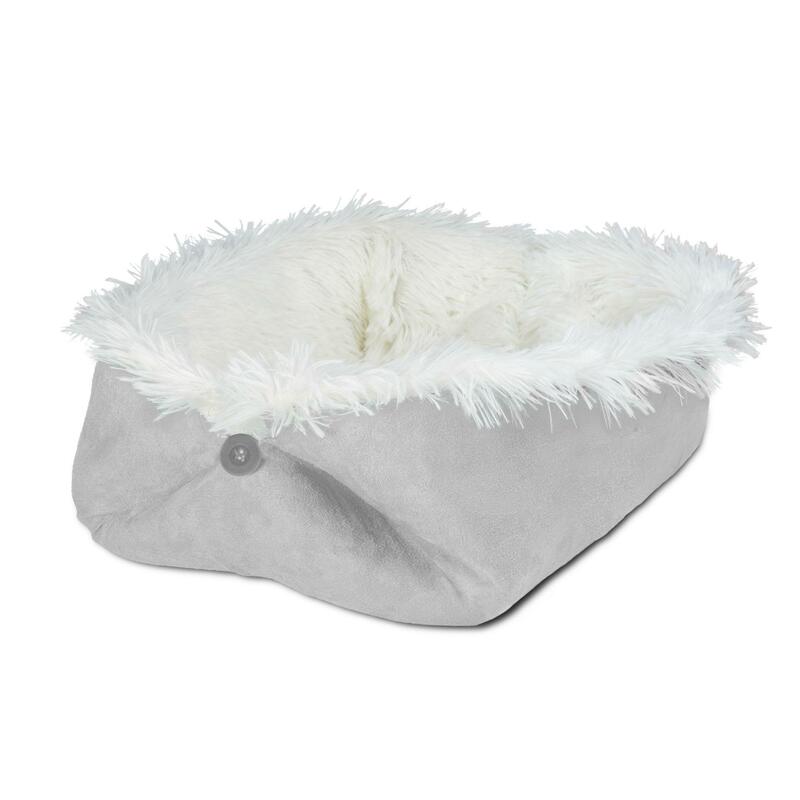 The FurHaven Self-Warming Convertible Cuddle Pet Bed & Mat - Silver is a multi-functional fuzzy cuddler for luxurious sleep! The FurHaven Self-Warming Convertible Cuddle Pet Bed & Mat - Silver is a versatile, functional, and cozy place for any pet to sleep or relax! It features buttons and loops that can configure the bed into a nest, couch, canoe, or mat. 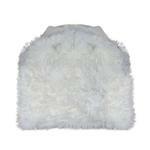 Its self warming core has insulating fabric and a soft reflective material that reflects heat back to you pet. Soft sued-like exterior is a perfect alternate sleep panel for warmer days. 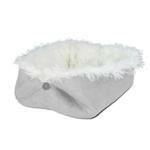 This soft bed bends to any shape like a lovely, fuzzy blanket and is fully machine washable. Machine wash cold, delicate cycle, air dry. For best results, use delicates mesh laundry bag for washing. 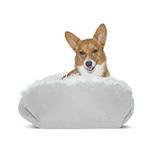 FurHaven Self-Warming Convertible Cuddle Pet Bed & Mat - Silver Customer Photos - Send us your photo! They LOVE their new pet bed. Posted On 03/15/19 by Kasey S from Syracuse, NY Yes, Kasey S recommends this product! This wasn't what I expected when I received it but my pup likes it so that's all that matters. I like how you can change the form a few different ways and it's very soft. The inside is almost like soft feathers so it does shed. Posted On 12/04/18 by CJR from Dallas, TX Yes, CJR recommends this product! This is really nice, especially for the price. My 12 lb. cockapoo puppy immediately claimed it as his own. Highly recommend for smaller dogs. Posted On 08/19/18 by Sandy B from Emporia, KS Yes, Sandy B recommends this product! My Godzilla and little Squeak LOVE this bed.